May pangungulilang mararamdaman sa boses ni Clint Bondad sa exclusive interview sa kanya ng TV5 reporter na si MJ Marfori sa Bangkok, Thailand. Ito ay dahil sa limited communication nila ng girlfriend na si Catriona Gray mula nang koronahan ito bilang winner ng 67th Miss Universe kahapon, December 17. Pahayag ng Fil-German model, "To be honest, I’d be lying if it wouldn’t affect anyone or me in particular. "I understand that they’re doing their job and I rather have them reject the people that are crazy than letting everyone in and believing… their boyfriend whatever…"
Hindi pinayagan ng mga mahihigpit na security guards si Clint na makalapit kay Catriona ilang minuto matapos manalo ang Filipino-Australia beauty queen. Kuwento niya, "All the people were trying to take pictures and I was trying to be polite and everything. "I wanted to go downstairs as soon as possible because picture-taking was happening, so I just climbed over the fence and the security came in. "Luckily, I smoothed talk them a little bit and I told them, 'Hey, listen, just let me stay here and look at the whole thing a little closer to stage.'" 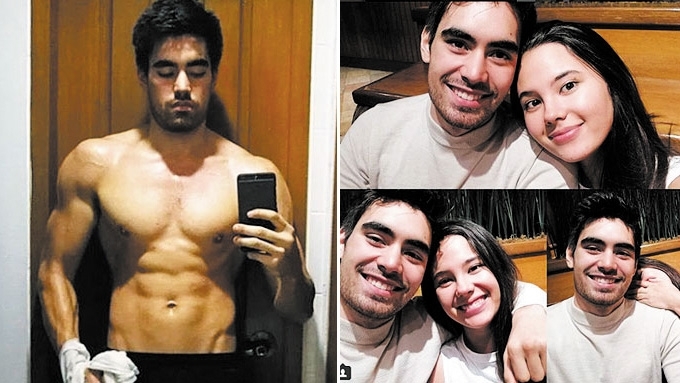 Nagkausap naman daw sina Clint at Catriona, pero sandali lamang dahil alam niyang busy ang kanyang girlfriend. "We didn’t talk to too much because, one reason is I’m a little bit conscious about… she’s surrounded by twenty, thirty people all the time, right? "She has only two hours of sleep, she’ll just message me later," ani Clint. May funny anecdote din si Clint tungkol kay Catriona. Saad niya, "In the very beginning of our relationship, I actually made a joke that she took super bad. "I made a joke to her I’m gonna go to the military. "In Germany, it’s mandatory to go to military, except for my generation. "I’m, like, one year above it before cut-off. Everyone born in 1993 has to go and join the military for extended time. "I mean, I joked her, she didn’t take it well. "But now, the joke is on me now. I guess, it’s not funny anymore. "But then again, you have to consider the alternative. "Would you rather have her not win the Miss Universe and spend time with you? Inihahanda na ni Clint ang sarili sa isang taong paninirahan ni Catriona sa official Miss Universe residence sa New York. Nang tanungin naman tungkol sa popularidad niya sa Thai fans, sinabi ni Clint na marami ang lumalapit sa kanya sa tuwing nasa gym sila ng kapatid niya.